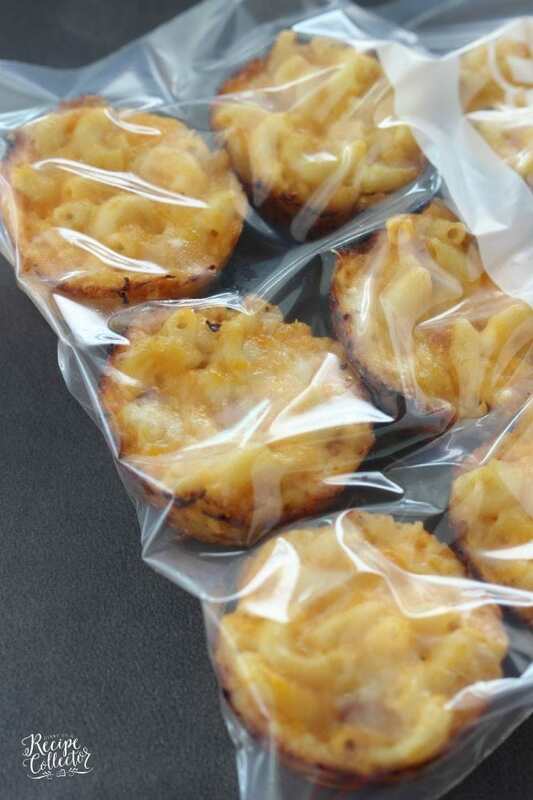 Ham & Cheese Macaroni Muffin Cups – Perfect for school lunches and freezer-friendly too! But I LOVE it! Another thing I love is back to school stuff, as I’ve mentioned a lot lately. Just the other day, I partnered with Wet Ones Singles and shared this Lunch Calendar Printable with you guys. 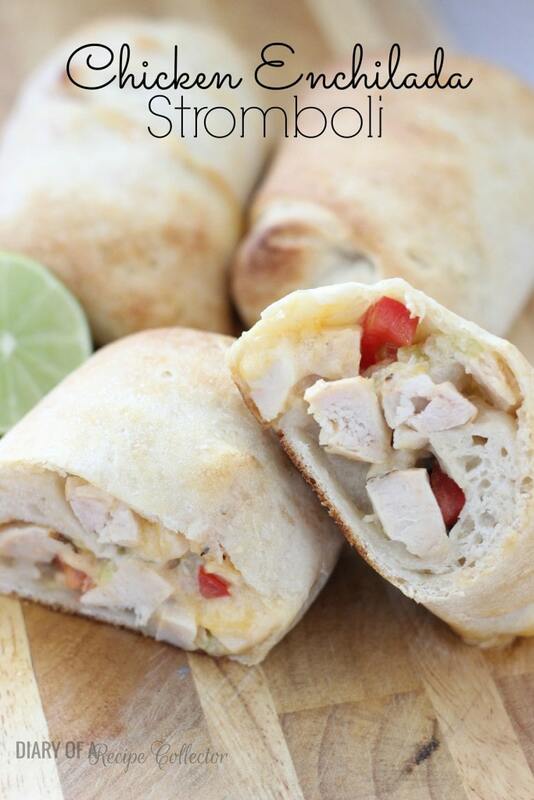 Today I’m back to share a great lunch idea with you. 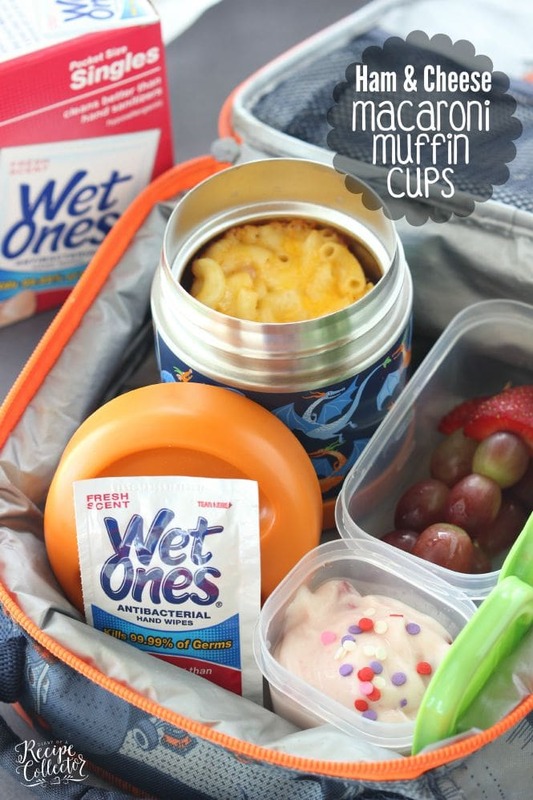 Ham & Cheese Macaroni Muffin Cups are an awesome make-ahead and freezer-friendly lunch idea for your children…and even you too! 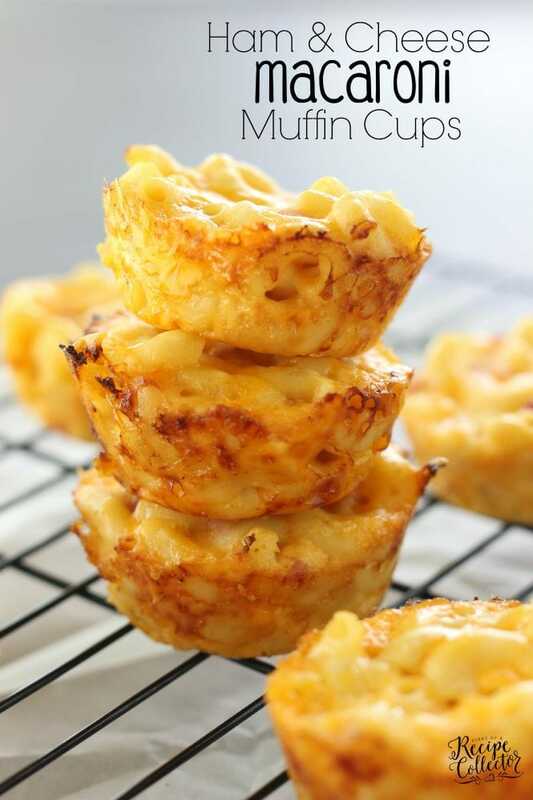 The muffin version of mac and cheese makes these so lunch-friendly! I popped them in the microwave for 1 minute and 30 seconds and quickly sealed them up the thermos. They were still warm and yummy in time for lunch! 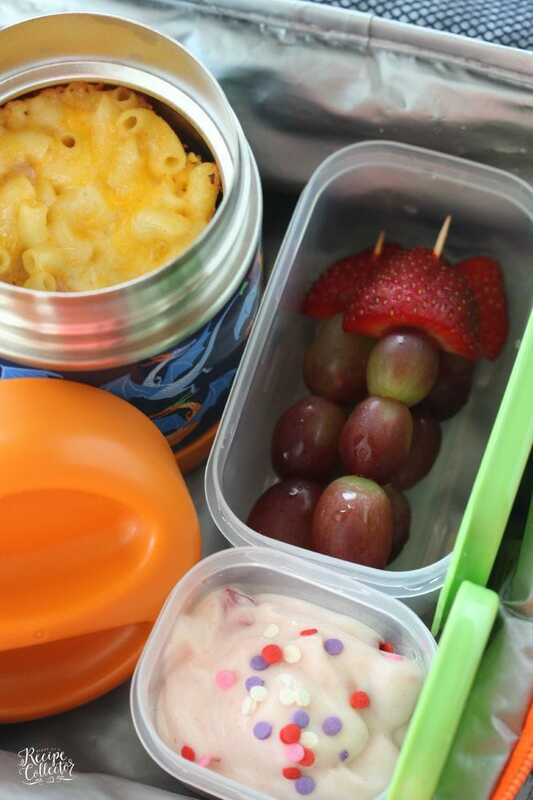 To go along with these Ham & Cheese Macaroni Muffins, I made some fruit kabobs with grapes and strawberries. Because who doesn’t love food on a stick? I also added some yogurt with sprinkles. I freeze the yogurt, and it is thawed by lunch time. I don’t have to worry about it spoiling that way. 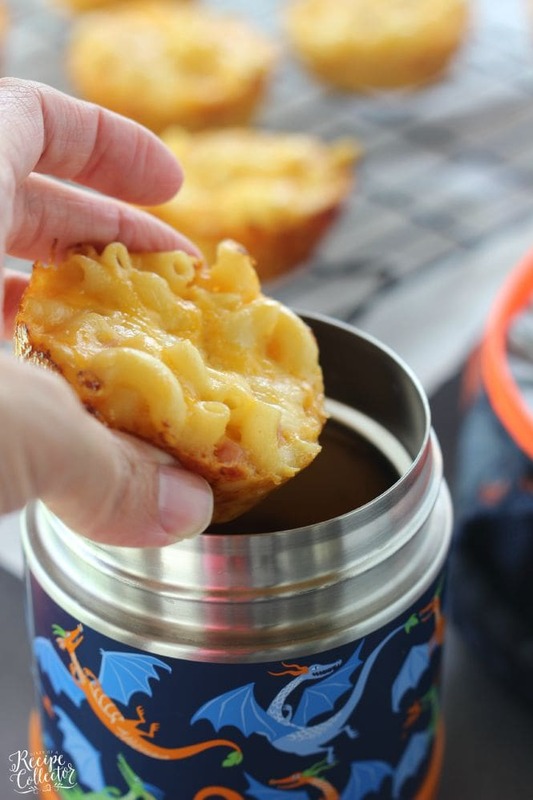 These Ham & Cheese Macaroni Muffin Cups are super easy. And those crispy edges…those are my favorite part! You can add more ham if you’d like too. I only added a cup to this recipe, but if you like more meat, go ahead and add some more. After I let them cool, I placed them in a freezer bag and froze them. In the morning, just take out and heat how ever many you need. Boil macaroni until cooked. Drain. In a large bowl, mix cooked macaroni, evaporated milk, egg, melted butter, ham bits, and 16 oz. shredded cheddar. Season with salt and pepper. 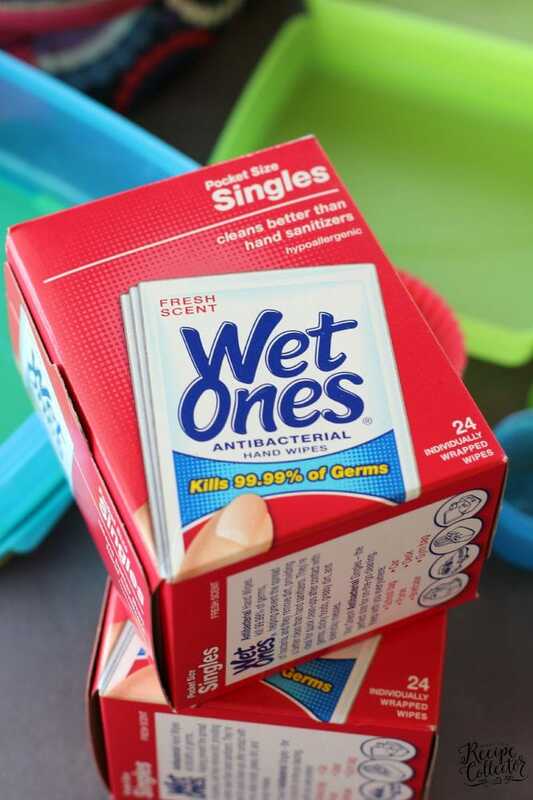 Spray 2- 12 count muffin tins with cooking oil spray. 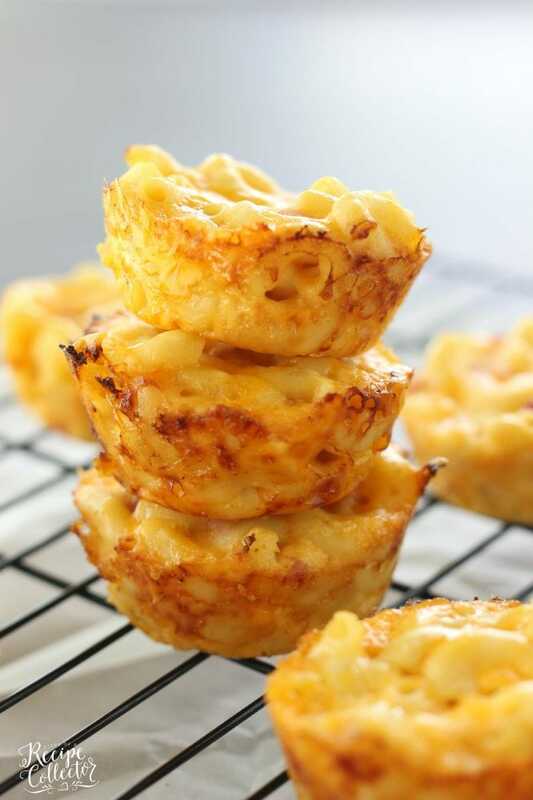 Fill 24 muffin cups (no paper liner) with macaroni and cheese. 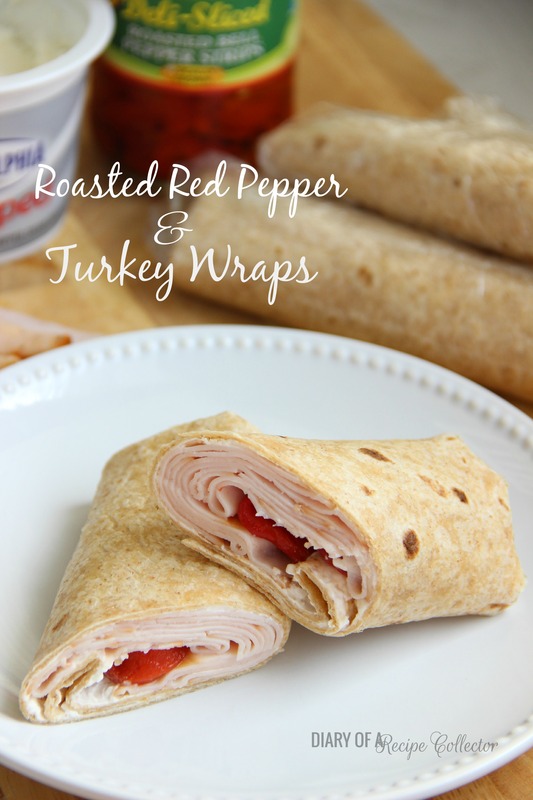 Top each with shredded colby jack cheese. Bake at 350 degrees for 18-20 minutes or until golden brown. You can cook a little less or longer depending on how crispy you like the edges. Cooking time will vary depending on material of your muffin tin. A dark, non-stick muffin tin will cook faster as with all baking. 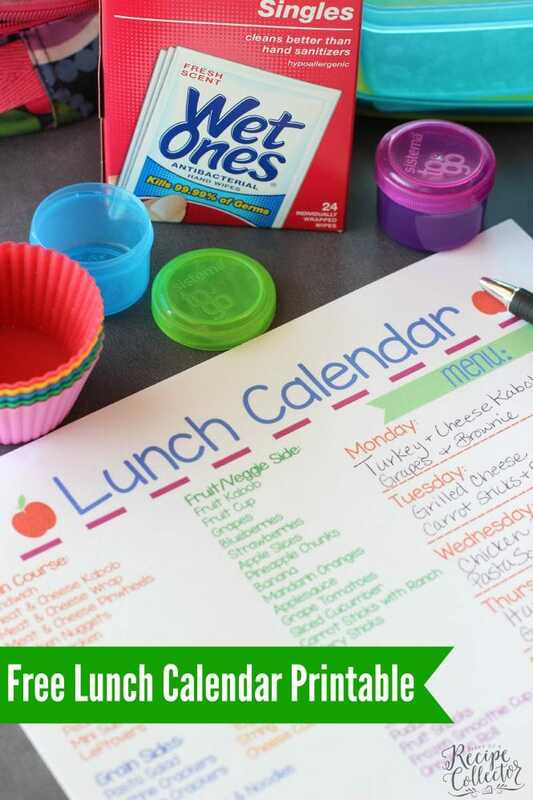 Go here to print the Lunch Calendar.